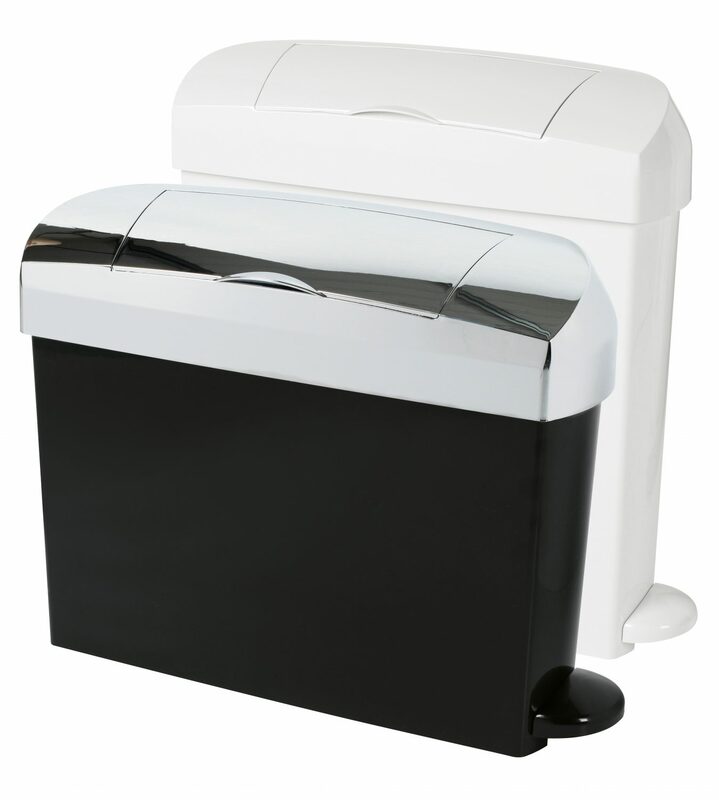 Robust hands free operated sanitary units, available in white or designer black/grey. Upgradeable to black/chrome for the more stylish washroom. 15 ltr or 23 ltr capacity with a compact footprint, occupying minimal floor space. Managed regular and discreet monthly service visits by our DBS checked and fully uniformed engineers. Flexible servicing to suit your requirements. Bins are thoroughly sanitised at every service and replenished with a antimicrobial liner which aids in the degradation of organic matter and removes lingering odours. All of our customers receive a “duty of care” certificate certifying waste is being handled and disposed of correctly. At Hygienic Concepts, we offer practical environmentally friendly solutions to all disposal requirements. Guaranteed regular discreet servicing to meet your requirements. The designer sanitary bin is available in two different sizes (23 Litre and 15 Litre) giving you options when taking into consideration how busy and how big your washroom is. 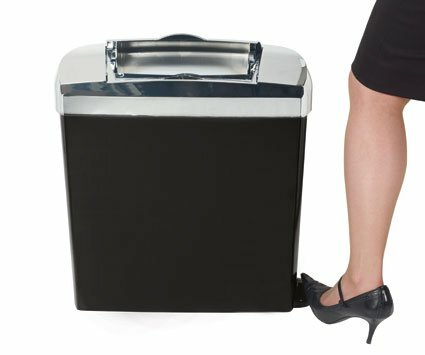 The bin’s design is contemporary and each bin comes equipped with a modesty chute and foot pedal operation. You can purchase sanitary bin bags and other janitorial supplies in our online shop.